Even a tertiary read of these definitions reveals that there are many competencies integrated into the capability to be self-directed, not least a high level competence in such types of thinking as analysis, comparison and contrast, inference and interpretation, evaluation—typically associated with critical thinking. Certainly, to be a self-directed learner, a key underpinning competence is the ability to think well – let’s call it Good Thinking for now. What constitutes good thinking will be thoroughly unpacked, explained and illustrated in subsequent posts. SDL is a broader macro-level construct than SRL. Growth Mindset - the inner belief that abilities can be developed through hard work. Meta-Learning has a ‘catchy’ tone to it, but these components—metacognition and growth mindset—are already embedded in more recent framings of metacognition per se, as we’ll see in the next section. Flavell originally coined the term metacognition in the late 1970’s to mean “cognition in relationship to cognitive phenomena,” or more simply “thinking about thinking" (Flavell, 1979, p.906). He went on to suggest that while metacognition mainly focuses on knowledge and cognition about cognition, the concept could be broadened to anything psychological, rather than just anything cognitive. It could be related to include executive processes, formal operations, consciousness, social cognition, self-efficacy, self-regulation, reflective self-awareness, and the concept of psychological self or psychological subject (Flavell, 1987). The most current framing of metacognition, especially from neuropsychology, goes beyond monitoring and evaluating cognition, but also regulating affective and motivational aspects of being—the whole person—such as beliefs and emotions (e.g., Dweck & Legget, 1989). Metacognitive Capability, in this context, can be usefully framed as a superordinate capability that encompasses a range of competencies which, when part of an integrated dynamic system of mental and goal directed actions, facilitates the development of SDL. In most basic-terms, metacognition fuels the process of becoming a self-directed learner. Monitoring and reviewing one’s progress and modifying/changing aspects of strategy based on feedback (if necessary). One particular study, by Dignath et al (2008), meta-analysed 48 studies investigating the effect of training in self-regulation on learning and the use of strategies among students in first through sixth grades. The most effective metacognitive strategies included the combination of planning and monitoring (mean effect size = 1.50) and the combination of planning and evaluation (mean effect-size = 1.46), both of which were more successful than teaching any of the skills in isolation. What is the Difference between Cognition and Metacognition? In terms of the mental activity, the main difference relates to the goal or purpose of the task in hand. Cognitive strategies ‘facilitate’ learning and task completion, whereas metacognitive strategies monitor the process (e.g., Flavell, 1976). Metacognition typically comes into play when cognition becomes problematic. It becomes essential when tasks are more challenging (e.g., Moushad, 2008). Is Metacognition the most significant so-called 21st Century Competence? Research suggests that human brains were pretty much the same (morphologically) some 50,000 years ago—indeed recent data shows that even 300,000 years ago, the brain size in H. sapiens already fell within the range of present day humans (Neubauer, 2018). It is arguable, therefore, that such folk (let’s be gentle on the language occasionally) had similar cognitive abilities and motivational dispositions—just played out in different contexts, with different resources, and different contingencies. I note that the Paleo diet is now becoming highly popular with certain sectors of the healthy eating community, so there is probably still much in common between Homo sapiens today and those from the eons of yesteryear. These limitations are further hampered in terms of learning effectiveness and efficiency by our brain’s inherent systemic biases and tendency to be lazy (Kahneman, 2012), it not being particularly well designed for thinking (Willingham, 2009), and our limited amounts of willpower (Baumeister, 2012). This is part of the aetiology of our crisis in learning and teaching. Certainly, technology may assist us in these learning challenges, especially in terms of access and differentiation. However, the brain is, as the brain is; technology does not change the fundamentals of human psychological processing. It can only aid or abet them. Despite the limitations of human cognition in the context of exponential knowledge proliferation, developing students’ Metacognitive Capability offers our best route to helping them become self-directed learners, able to better navigate the increasing complexities and existential challenges of the modern world, and find purpose and meaning in doing so. The following posts offer a comprehensive Evidence-Based Pedagogic Framework for developing Metacognitive Capability. You’ll need to “put your thinking hats on”—as the old saying goes. Bialik, M., & Fadel, C. (2015) Meta-Learning for the 21st Century: What Should Students Learn? Center for Curriculum Redesign Boston, Massachusetts. Baumeister, R.F., & Tierney, J. (2012) Willpower, Penguin, London. Clark, R. C., & Lyons, C. (2005) Graphics for Learning: Proven Guidelines for Planning, Designing, and Evaluating Visuals in Training Materials. Pfeiffer, San Francisco. Digneth, C.C., et al. (2008) How can primary school students learn SRL strategies most effectively? A meta-analysis on self-regulation training programmes. Educational Research Review 3(2):101-129. Dweck, C.S., & Legget, E.L. (1989) A Social-Cognitive Approach to Motivation and Personality. American Psychological Association, Vol. 95, No. 2,256-273. Flavell, J. H., (1979) Metacognition and cognitive monitoring: A new era of cognitive developmental inquiry. American Psychologist, 34(10), 906-911. Flavell, J. H. (1987) Speculation about the nature and development of metacognition, in F. E. Wernert & R. H.
Kluwe (Eds.) Metacognition, Motivation and Understanding. Lawrence Erlbaum, Hillsdale, NJ. Knowles M.S. (1975) Self-directed Learning: A guide to Learners and Teachers. Association Press, New York. Martinez , M. E. (2006) What is Metacognition? Maudsley, D. B. (1979) A Theory of Meta-learning and Principles of Facilitation: an Organismic Perspective. Thesis (E.D. ), University of Toronto. Miller, G. A (1956) "The magical number seven, plus or minus two: Some limits on our capacity for processing information". Psychological Review 63 (2): 81–97. Neubauer, S. et al. (2018) The evolution of modern human brain shape. Science Advances, 24 Jan 2018: Vol. 4, no. 1, eaao5961. Noushad, P.P. (2008) Cognitions About Cognitions: The Theory of Metacognition. Saks, K. & Leijen, A. 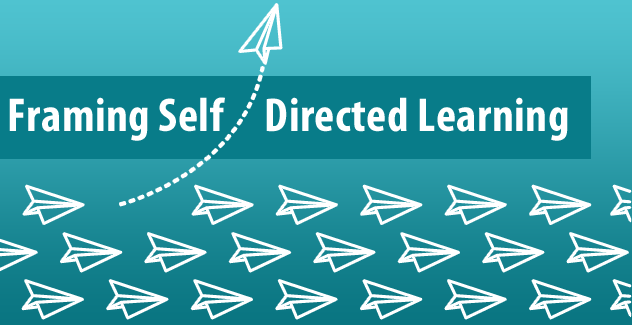 (2013) Distinguishing Self-Directed and Self-Regulated Learning and Measuring them in the E-learning Context. International Conference on Education & Educational Psychology 2013. Schank, R., (1997) Virtual Learning. McGraw-Hill, London. Schunk, D. & Zimmerman, B.J. (2012) Motivation and Self-regulated Learning: Theory, Research, and Applications. Routledge, New York. Van Merrienboer, J. J. G., & Sweller, J. (2005) Cognitive Load Theory and Complex Learning: Recent Development and Future Directions, in Educational Psychology Review, Vol. 17, No. 2, June 5.